Knowing how to work between multiple devices is essential in today’s high-tech environment. It’s not something that you should learn. It’s something that you must learn. It’s not just a good skill to have, but it’s an essential skill you have to master. For one thing, you might not do all your work from the office, enjoying the benefits of using an infrastructure with seamlessly integrated devices. Instead you might often find yourself bringing the work home with you or doing it on a business trip. As such, you need to know how to make your work files sync with incompatible devices like your laptop, smartphone, or tablet. Although you would think it simple to use multiple devices to get your work done, it’s actually quite a challenge to have all the data you need to work on get along with your proliferation of devices. The secret to success is preplanning. This thwarts the frustration of dealing with files that won’t open up because they are stored in a format that your application or device doesn’t recognize. It’s a little like the frustration you might feel if you organized a business meeting but discovered everyone speaks a different language. If you’re hoping to settle down to do some productive work, the last thing you want to deal with is fumbling with the wrong files, working with outdated files, or struggling with the wrong applications. You can’t afford to waste your time learning how to reformat work files or learn new applications. Here are some ideas that should help you work between multiple devices. Use a USB flash drive. In the event that you don’t have a network or are not using the cloud, then a simple fix to transfer files from one device to another is the manual approach. You can transfer information from one device to another using a USB flash drive. 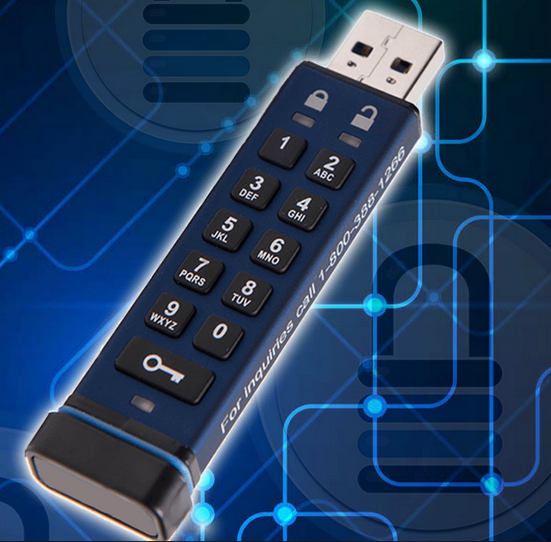 If the information is highly classified, you don’t have to fret over breaching security protocols—simply use an encrypted USB flash drive. Figure out what apps you’ll need to use ahead of time. Identify what apps you share in common when you work from the office and when you work from home. Create a short list of commonly used apps that will work in both situations. Since you probably do most of your work on only a few apps, make sure that the same apps are available everywhere you work. Coordinating your setup from one working environment to another will help you stay productive when working with a lot of data. Use apps common to different platforms. One frustration users often experience is using a PC in the office and a Mac at home (or the other way around, of course.) Fortunately, many developers are realizing that not all users are going to stick to one platform wherever they work. As a result, many apps are now available that work well on both a PC and a Mac. Microsoft Office works on Windows and OS X. The Chrome Web browser works on Windows, OS X, iOS and Android. FileZilla works on Windows, OS X, and Linux. The cloud offers users many benefits, from reducing the cost of infrastructure to getting your hands on some cutting edge software through SaaS. And one outstanding feature of the cloud is that it lets you synchronize all your data. The best way to keep all your files working in sync is to take advantage of cloud storage. You can access your work files from anywhere. You don’t even have to use your own devices. You could work out of a hotel’s business room or borrow a colleague’s device. You can work with legacy software if necessary. You have the security of knowing that all the changes you make to your files are automatically synchronized. If your device is lost or stolen, you have not lost any of your work. Enhance your ability to collaborate. All the work you do may not be restricted to work files. You may also want to synchronize calendars, contacts, and messaging. Collaboration is an important aspect of today’s work. Besides doing your own work, you need to stay in touch with others via schedules, contacts, and messaging. The best tools to enhance collaboration, the ones that stand out above the rest, are Google Apps and Microsoft Exchange Server. Additionally, you don’t have to restrict yourself to working on a laptop, but can also access these tools with your tablet and smartphone. One of the reasons why the need for working on multiple devices is becoming more important is because companies are beginning to befriend the Bring Your Own Device (BYOD) philosophy. By encouraging workers to use their own device instead of forcing them to familiarize themselves with the company’s computer systems, productivity is increasing. This growing trend has encouraged developers to explore more ways for people to work between multiple devices.